Punctual visits, good scheduling, polite, thorough and fast. Any issues raised were addressed. Truly helps to keep the bugs under control. I appreciate Paramount service very much. Recommend them to anyone. Everyone with whom we have come in contact at Home Paramount Pest Control has been extremely polite, friendly and helpful. We have been very satisfied their service. Pleasant staff.....phone & field. Technician was thorough. Questions & concerns addressed promptly. Very satisfied. 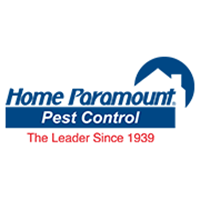 Home Paramount has given us consistently excellent pest control service for many years! In addition to the regular pest control treatment we receive, our attic insulation replacement job of 2017 was done expertly and today, (9/26/18), the Paramount team did a tremendous job with dehumidifying our cellar, going beyond the call of duty with detail. With the hot, extremely humid and often heavy-rain days we've experienced here in the Shenandoah Valley throughout the summer, our cellar was in critical need of the job they just completed. Our thanks to all the guys who have helped us with kindness and thoroughness with their work over these many years. Special thanks to Joel Cardinal, Inspector, who has demonstrated exemplary service and kindness, ever since he came on board, but certainly, also, to Earl, Branch Manager and Inspector. Particular thanks, too, to our pest control product implementers like Mike and Scott and several others, again, over a number of years. Let me conclude by thanking your consistently pleasant and helpful customer service people! We have recommended Home Paramount to family and friends in our area and they seem, also, to be extremely pleased. One more huge thank you!!! From the initial phone call through the installation of the product I found every person I had contact with to be very professional. All appointments were met in a very timely matter and the work was accomplished on the scheduled date and time with no delays. I completely intend to continue using Home Paramount and would recommend their services to anyone in need of pest control. Technician very professional & courteous. Be nice to consistently get the same person. Always very polite and professional great company. Happy that Scott and Joel are working to rid my home of the yellow jackets. Amber is so kind and helpful on the phone. Thank you. Nora Simpson 4 star. Haven't seen any ants since your last visit. Thanks so much, very through visit !! We love having Matt take care of our home and yard. He is courteous, always has some new interesting insect information and area trends to share, and very responsive. Thank you! I really am tired of getting feedback requests from every service provider. You would know if there was a problem. The young man is very nice and seems to work with his customer for their comfort. We have used Home Paramount for a lot of years and they have always given us good service and they care about being on time and helping to schedule our appointments to meet with our schedule as best they can. Technicians know the products and are very good about the applications. (ex. like not to spray on my windows). Lisa does a good job. She is always polite. Scott does a good job and is polite too. It is nice dealing with both of them! Thank you for good service. Melvin & Jeanne Meyer. We are happy with our service. Our questions are answered and our concerns are addressed. He arrived on time. Took the time to listen to our problem. Great person to work with. good customer service and very competent. thanks. Prompt and on time. Gets the bugs. We are very happy. However; we are still occasionally still seeing a few ants and roaches. Not here when service man arrived, so can't say a whole lot. Helpful and informative. We will definitely use this company in the future. We have used Home Paramount for over five years, and service has always been prompt and professional. I've been a satisfied customer for years. The service and the technician is always of good quality. I would highly recommend Home Paramount. I am happy with my tech, my service and reaction to special events. Your reps are helpful and knowledgeable. They are courteous and prompt. Unfortunately, I am considering not renewing the pest control contract, as it is not competitively priced in my local market. Very courteous and professional. Service people are friendly and thorough in doing their job. We’ve used Home Paramount for over 35 years at three different locations and are consistently impressed with their service, their courtesy, and their honest assessments of any issues. Highly recommend! Timely and gets the job done!!! The only suggestion for improvement is that we were not told that blowing in the insulation into the attic would spread through the bedroom also. We would have removed the clothes out of the closet and covered the furniture. Otherwise, we are well pleased. I am satisfied with the services I have received. Jay does a wonderful job, I would like for him to be the one that comes out all the time. Thank you Jay. Michael (Service Tech & Amber in office) are the great assets to your staff. We're very pleased with the service you provided. The technician was very thorough and polite. We appreciate the calls to let us know when to expect the technician. The technician is always very professional as well as friendly. He is very conscientious about his work. THANK YOU! Very professional, and they will come back if more treatment is needed.